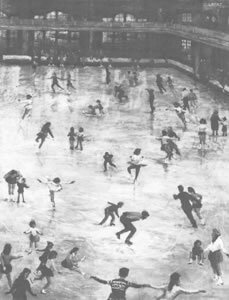 The Most Famous Ice Rink in the World focuses on the memories of those who skated at the ice rink in Twickenham (Richmond Ice Rink). Many famous skaters trained at the rink including Torvill and Dean and Robin Cousins. Members of the royal family such as Prince Andrew were also taught at Richmond Rink. Richmond Ice Rink, considered by many as the spiritual home of British ice-skating, is a legend in the London Borough of Richmond upon Thames; the rink was at the heart of the community where children grew up and socialised and where many met their future partners such as professional ice dance teachers Anne and Roy Lee. The rink closed down in 1992 but there is still a strong body of skaters from Richmond rink who get together regularly, particularly the Richmond Flyers (formerly the Phoenix Flyers), an ice hockey team. The project has given local people the chance to record their memories and lend photographs and other memorabilia. The project is run by the Richmond Environmental Information Centre (REIC) which received a grant from the Heritage Lottery Fund. The news that the REIC had received the grant was announced during the operation of a temporary ice rink in Twickenham at Strawberry Hill House over the Christmas and New Year period 2014/15. This was thought to be an excellent venue for skaters from the old rink to come along and exchange memories. An advertisement was put in the local newspaper and quite soon people started to arrive at the rink to contribute their stories to the project. A stall was set up in the skate exchange to receive contact details from potential contributors to the project. Some people also brought along their written memories and photographs as well as copies of publications such as the Skating Times (1938). One particularly interesting story came from a lady who started skating at the rink as a teenager and continued until the War started in 1939. As a result of contact at the skate exchange stall we later received a photograph of a 2000lb bomb which fell on the ice rink during the War but did not explode; a little known fact, as it was quickly removed and the rink opened the next day. As the response from skaters and former skaters was so promising it was decided to arrange a day when people could come along and film their interviews. A local sixth form student, Jordan McKellar, with a keen interest in making short films offered to take part in the filming. On the day of the first filmed interviews we were surprised by the number of people who came along having heard about the interviews from their friends. There were people of all ages and husband and wives who had met at the rink. One lady who started working at the rink in 1949 took a lot of persuading to take part in the filming but once she started she went on to tell us about working at the rink for half of her life starting in administration and ending up as a Director of the rink, being one of the last people to leave the rink when it closed in 1992. 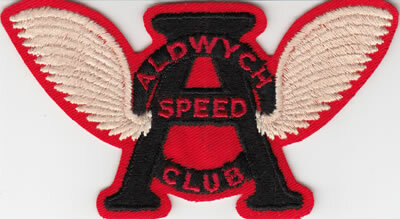 Others had been members of the Aldwych Speed Club which had its home at Richmond for many years until the doors were finally shut. Another of the interviewees was the third generation of his family to have a long association with Richmond Rink. On that day we had hockey players, dancers, figure skaters, professional teachers and pupils who had attended the children’s Saturday morning lessons; the whole mix of people whose lives revolved around ice skating and Richmond Rink. Following the initial contact with contributors people were followed up to collect more detailed information, photographs and other documentation. This brought forward another group of skating friends and we received further contributions of memories and photographs for the project. 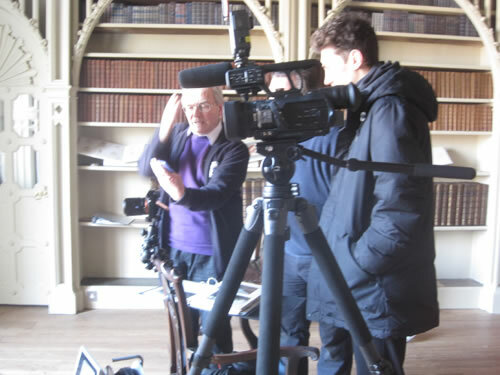 A second session of filmed interviews was arranged at Strawberry Hill House in April. Another five people attended bringing the total of interviews filmed to eighteen. Photos and badges were brought along for scanning and a number of photographs and further memories were received following the interviews. Within the first five months of the project the team had been approached by over ninety people of all ages making positive contributions providing their memories and memorabilia. 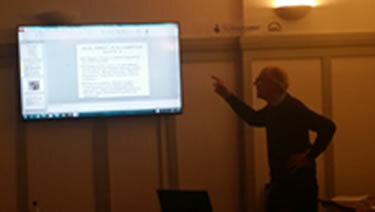 The archivist and historian of the National Ice Skating Association (NISA) also provided valuable support and information including the diaries spanning five years of one of the campaigners (the late Richard Meacock) to bring a new ice rink back to the borough. The project team was also in touch with a local school whose pupils enjoyed ice skating at the temporary rink at Strawberry Hill House and agreed to participate in the project. Older students were involved in filming and editing of a promotional video for the project website to attract more participants to the project; a thirty to forty minute video was planned. Compilation of a book recording the memories of skaters, involving further interviews and filming, was also under way in conjunction with the video production. Information from archival research was added to the information which has been collected to date. The team was impressed by the Torvill and Dean project “Ice Rink on the Estate” and it was decided to work with the temporary ice rink at Strawberry Hill House to provide a club for school children to bring ice skating back to the borough as a sport. This proved to be a very successful undertaking with a regular group of children skating after school. 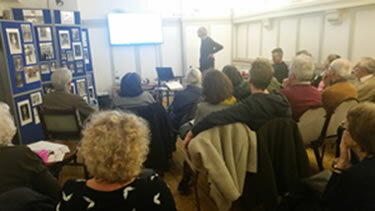 Professor Jeremy Hamilton-Miller took on the research of the history of ice skating and skating in the borough and this became an article of the years leading up to the opening of the rink in East Twickenham; various talks were also given on this subject. 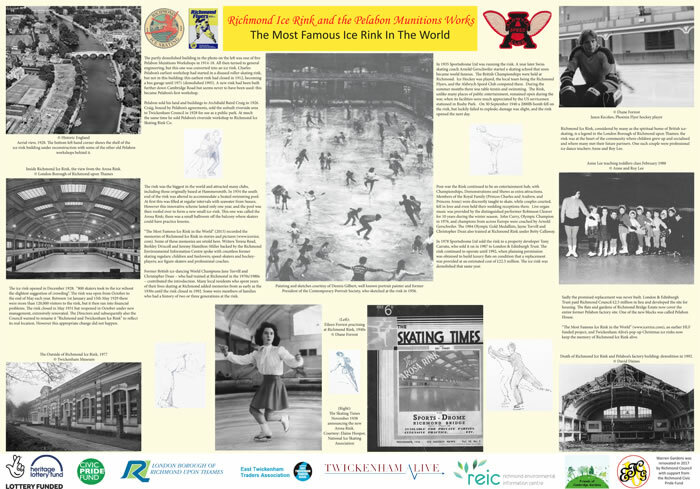 Many local residents who spent years of their lives skating at Richmond Rink added their memories from as early as the 1930s up until the rink closed in 1992; some were children at the time, others were teenagers, ice hockey players and ice skating coaches. 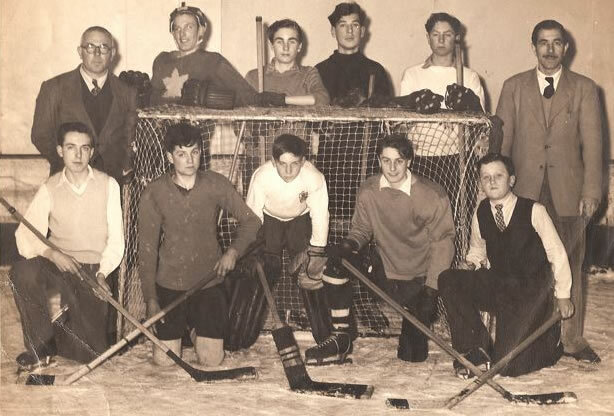 Some were members of families who had a history of two or three generations at the rink. 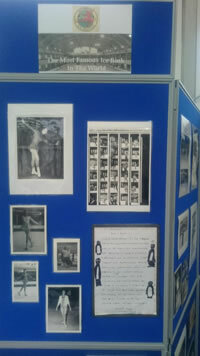 The photographs collected show fantastic skating feats including those of international champions, all from the rink in East Twickenham. David Daines, a member of the ice dance club, was there to photograph the demolition of the rink and Andy Sutch, the Chair of Sport Richmond, provided an account of the time leading up to the closure of the rink. Copies of the book have been given to many people and organisations in the local community including the Twickenham Museum and copies of the diaries of the late campaigner Richard Meacock, which we received from Elaine Hooper of NISA, have been archived by the borough’s Local Studies Library (they are catalogued as reference DC19). 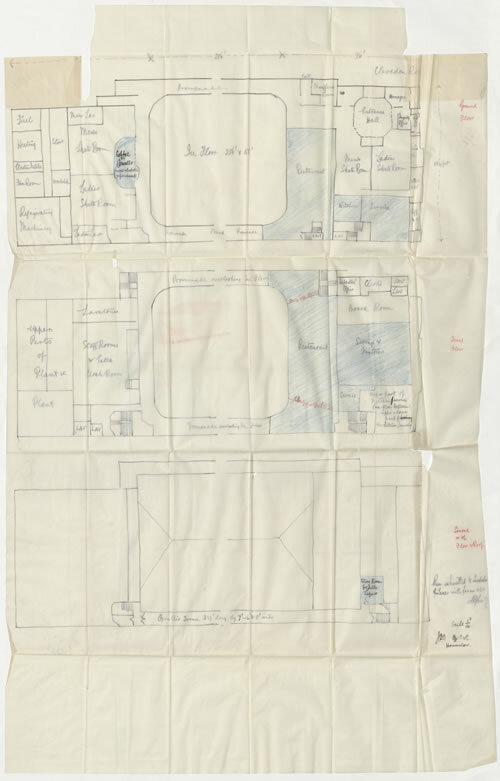 During the production of the book, as well as collecting people’s memories there have also been visits to Kew Archives where we obtained a copy of the 1930 floor plan of the old rink. Research has also taken place going through the years of microfilms belonging to the local newspaper, the Richmond and Twickenham Times. Archival research has also been aided by the Archivist from NISA who has been very supportive and a great source of information. Soon after the opening of the temporary ice rink at Strawberry House at Christmas (2015), staffed by former skaters of the East Twickenham ice rink, the REIC opened our first exhibition at the skate exchange. 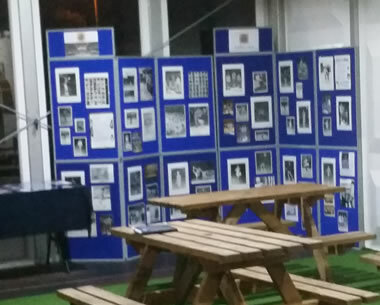 This was an exhibition of a varied collection of photographs of many famous names including Torvill and Dean, Robin Cousins and John Curry. The exhibition, which also had copies of the book on show, was open for seven weeks and was seen by many people of all ages. 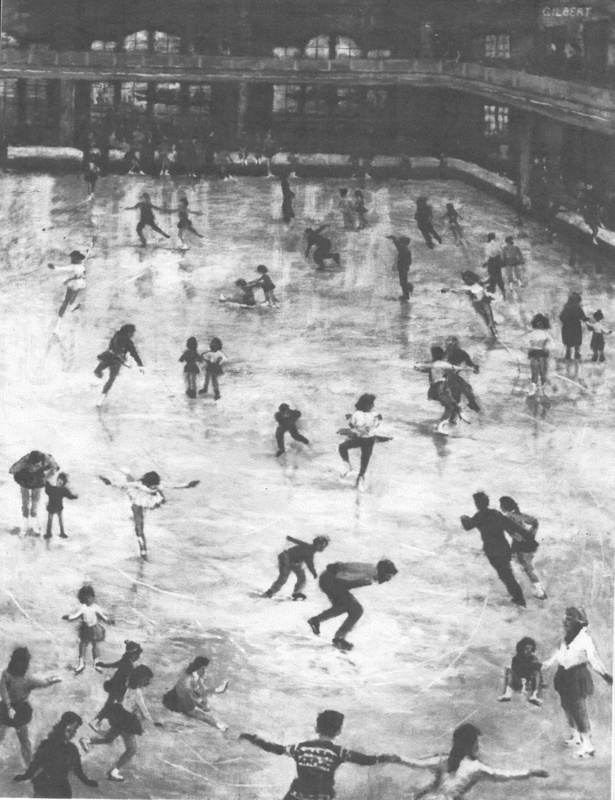 Dennis Gilbert, the artist who had sketched at Richmond Rink in East Twickenham in 1956 came along to the temporary rink to sketch skaters once again. A number of schools and individual children came to skate at the rink including four groups with disabilities. 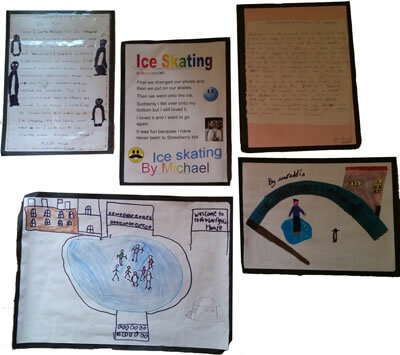 Children from Clarendon School, a school for children with moderate learning difficulties and autistic spectrum conditions, loved skating and wrote about ice skating illustrating their stories with pictures during their lesson times under the supervision of their teacher, Su Woodhouse. This school work has been incorporated into the exhibition. One girl wrote: "last year I was the luckiest girl in the world and I was so happy to go to ice skating". 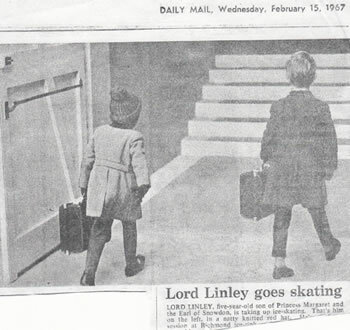 Unfortunately the children of the borough no longer have the long term experience of Cheryl Nolan who skated at the old rink in 1979 and left this memory at the skate exchange: "Ice skating was a PE option at my Richmond school; last session on a Friday afternoon, terrific fun and great socially. It’s where I learnt to skate - a beautiful building which I didn’t appreciate at the time". 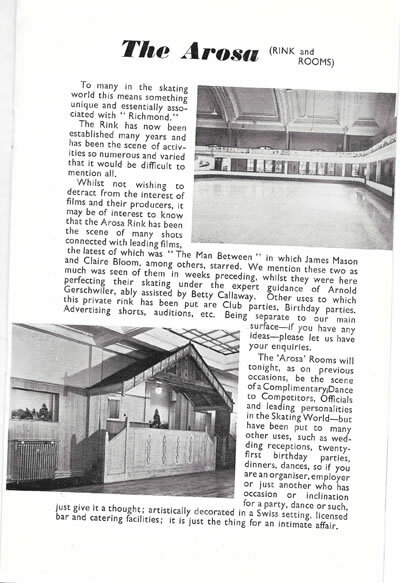 In January 2016 members of the REIC took the exhibition to the long established Twickenham Society at the Twickenham Club on the doorstep of the Council offices, a presentation was given about the project to a packed audience and the evening ended with a very lively discussion about the old ice rink. Each exhibition produces new information for the project. 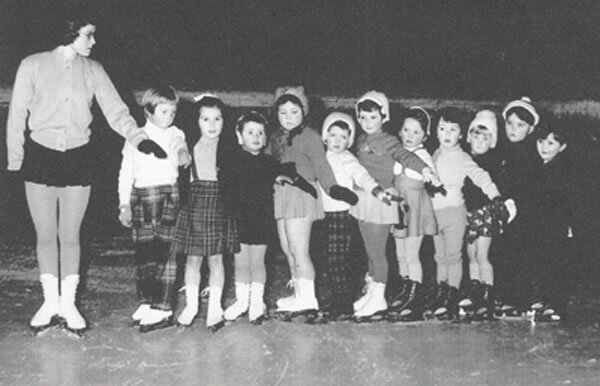 Karen Grace wrote: "Richmond rink was a place of companionship and wholesome fun – which is sadly missing in today’s society. Everyone has fond memories of growing up there and it was an honour to have been involved in such a special and magical place and time". As you have read we started the project filming for the video. This was well under way until the project suffered a setback from a very unfortunate incident at the home of one of the students working on the editing. His family home caught fire and everything in the house was destroyed including our edited material. Fortunately no one was at home at the time but the memories video had to be put on hold for a few months. Additional filming and editing has since taken place and is now available on the icerinx website. During the project a lot of new skills have been learned by students and older members of the team. As well as interviewing, filming and editing, archival research has been a very exciting way of looking at the past and we have been very lucky to have had the assistance from NISA. The project has involved hundreds of people from the local community, not only the contributors but those who have come along to the exhibitions and participated in discussion about the old rink. Lasting work has been produced and will be archived by NISA as well as the Local Studies Library and still we are being contacted by people wishing to find a home for their memorabilia. 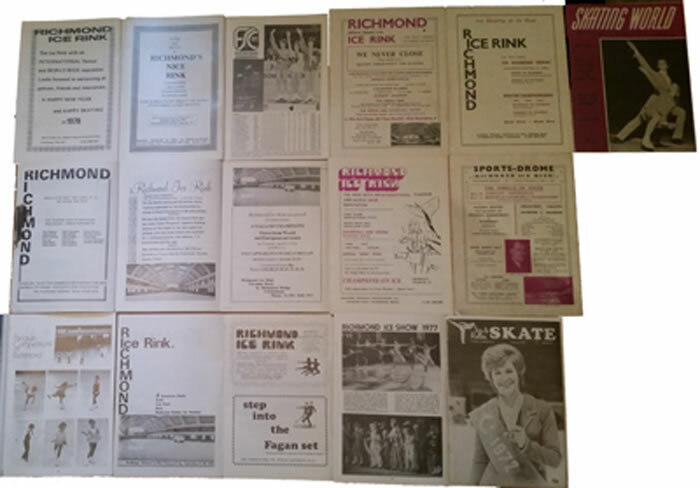 A number of VHS videos of skating at Richmond Rink were aquired from Frazer Ormondroyd and have been donated to the archive at the National Ice Skating Association. 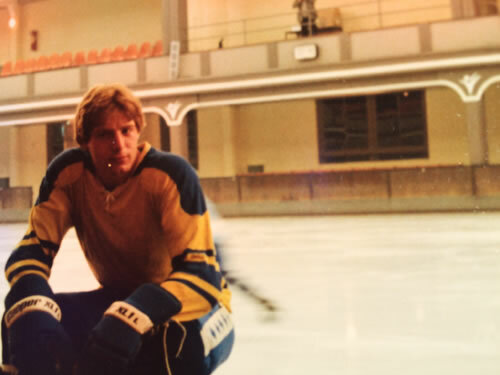 Footage includes a skating performance and practice session featuring Jayne Torvill and Christopher Dean in 1984. We anticipate that requests for the exhibition and presentations will continue and the project will be a living project which is of interest to those far and wide in the Borough. In fact, we have only just been asked to attend a summer event adjacent to the area where the old rink stood and gave so much pleasure to so many. An exhibition and presentation of the project took place on 21 April 2016 for the Barnes and Mortlake History Society, held at St Marys, Barnes. This was very well attended and there was much discussion at the end. Some further memories were provided for the project from some of the attendees. As a result of this talk we were approached by the Richmond Forum to give a talk to their society, which will take place in September 2016. The East Twickenham Centennial Group are installing a memorial (a piece of public art) to be accompanied by two information boards: one telling the east Twickenham Belgian story from WW1, and the other telling the story of the transformation of the riverside factory building into The Sportsdrome / Richmond Ice Rink. This will be at the site of the former rink and will provide a permanent public display of material from our project, with acknowledgement of the HLF support. This exciting outcome was unexpected, but very welcome. My own contribution has been modest, although I have managed to uncover and retell some fascinating snippets of ice skating in past centuries, and also to correct some errors and fill some gaps in the immediate pre-history of the Rink. A question remains, however: why was it called Richmond Ice Rink? It is in the geographical confines of Twickenham, was granted planning permission by the newly fledged Borough of Twickenham (succeeding the previous Urban District Council), and in 1932 the Council approved the name “Richmond and Twickenham Skating Rink”. However, clearly this was not formally adopted. 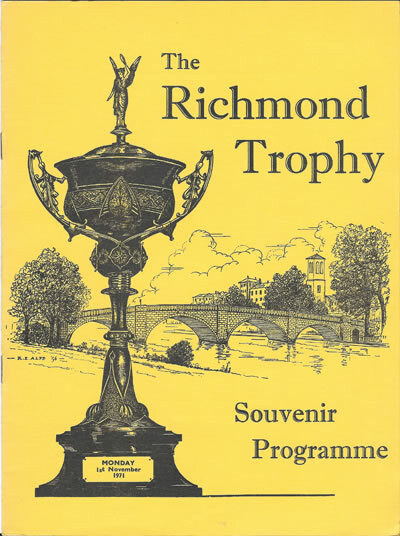 Thus the name remained Richmond Ice Rink; the memory lives on, now much enhanced and given new life by the present project, in which I was proud to have been a minor player. 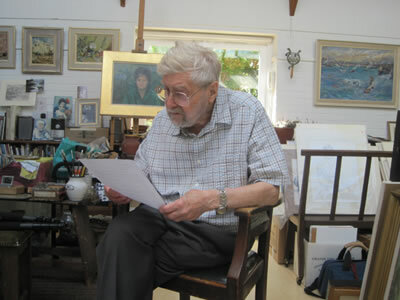 One of the campaigners who tried to save the ice rink and campaigned for a replacement rink was Richard Meacock of Richmond Hill who died in April 2006. His website, icerinx, was maintained for some years after his death but eventually lapsed. As part of this project icerinx was resurrected from the internet archives.